Wow, I wonder if the PAL of Psychic Detective also has the OST. I have to buy that. All links dead, but contact me via facebook, youtube or here on 3DO Zone. I reupload it. Topic: Rebecca Heineman Talks About Porting Doom to the 3do! Re: Rebecca Heineman Talks About Porting Doom to the 3do! Great video! Insight from the Inside, very exotic. Just played through Doom I and II on XBox One / 360 BC. Yes, is there any retro store here? Lp, games, books. Im the JW Marriot Grande Lakes. "Rich "Lowtax" Kyanka - Gaming Garbage"
I think Soul Hackers on 3DS feels like 3DO. The turn around, the "walking" (not as good as "Tetsujin"), the battles with stiff Kazuma Kaneko figures. THANKS 3DOKID! landed Dec 6th! Stiff adults with no interest what so ever are the real threat. Great! Mario Kart versus dancing on Ice. 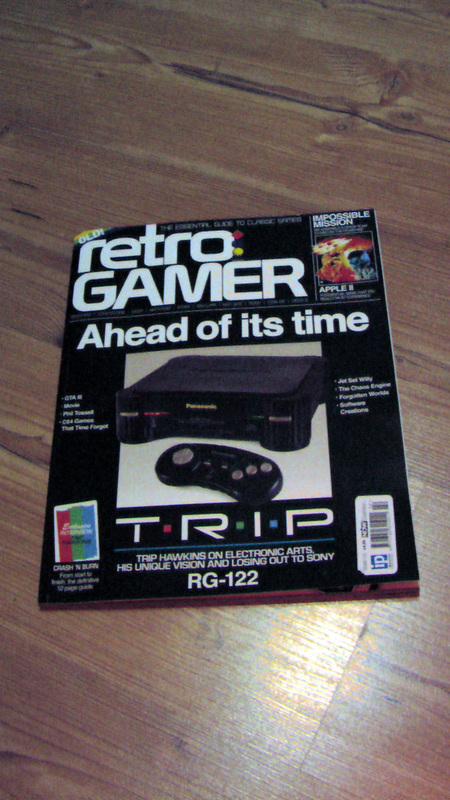 Topic: 3DO GAmer 122 - register your interest. Re: 3DO GAmer 122 - register your interest. I'm with it! One please, thanks 3DOkid!